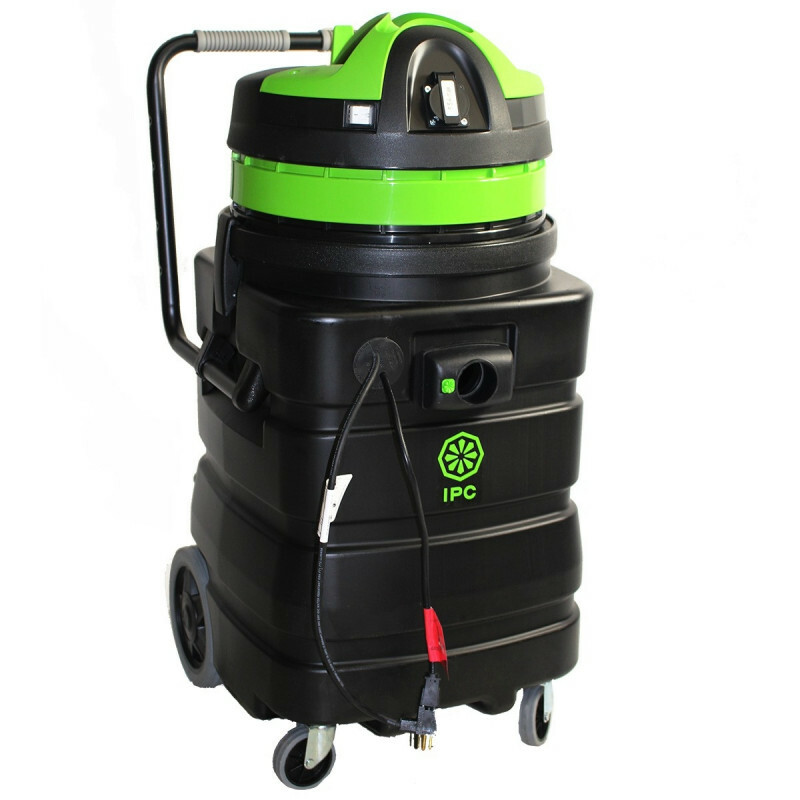 This pump out vacuum from IPC Eagle is the exact same model as the IPC Eagle steel tank flooded basement vacuum, but it has a more durable, and larger polyethylene body. The stainless steel body is great because it can be easily cleaned and will not rust or corrode. This polyethylene body is much more durable and will not dent or become deformed over time. It will hold its shape, so it is much more attractive for the flood restoration professional who is traveling from job to job. You are looking at the most durable pump out vacuum in the industry! The accessory kit comes with a 19 inch squeegee tool, 2 piece wand, & 10 foot hose for extraction in all types of settings. The pump out side of the vacuum has a connector for a common garden hose to be screwed on. This allows you to direct the pumped out solution to an adequate recovery area. If this model is not exactly what you're looking for, we do have more options available in our flood water extractors section. Dual power switches allow you to use the vacuum and pump in tandem or each one individually. Pumps out an impressive 48 gallons per minute for maximum recovery. Flooded areas never stood a chance! Garden hose attachment allows to hook up a hose and direct your pumped out solution wherever you need it to go. Polyethylene tank is guaranteed to not crack, dent or become deformed for the life of the vacuum. 24 gallon tank will hold liquids to pump out later, or it can simultaneously pump out as you recover. Comes with a 10 year warranty on the tank, 3 years on the motors and 1 year on parts. 10 years on tanks, 3 years on motor & 1 year on parts. This vac performs just as expected. We have run it constantly for 8 hours a day for a week with no problems. This is a review for the Wet Recovery Pump Out Vacuum - 24 gallon Poly Tank w/ Pump.